Rockstar North have updated their website for the first time in what I'm guessing is over seven years. They've added the logo shown above, along with with the words "Coming Soon" etched below. Previous content on the R* North website includes behind the scenes development images, audio and code from GTA 3 and GTA Vice City, which leads to speculation that the new website may, at some point in the future, feature some GTA 5 development information. 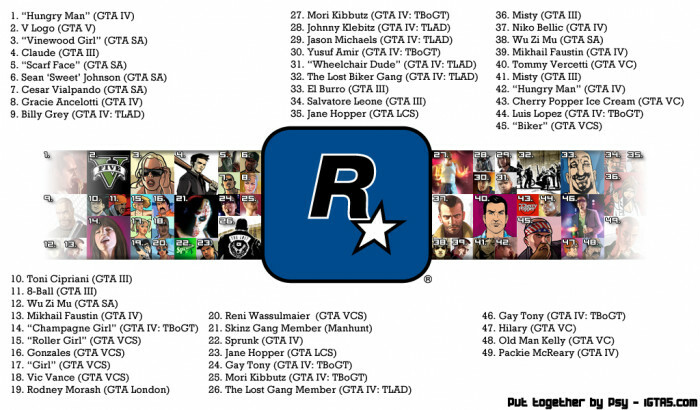 The actual website hasn't been launched yet, so there's not much there besides the logo and a link to jobs at Rockstar North, however given that the studio are actively developing GTA 5, we can probably expect some details to appear there about the new Grand Theft Auto game in due course. Check out the 'new' website at RockstarNorth.com, and we'll keep you updated when it actually launches. True when they are spreading "leaks" among other false hopes but Psy actually does know people at Rockstar Games. Both of us have had the pleasure of meeting quite a few of them too. The "Wheelchair Dude" is Angus Martin. Pretty cool banner, hopefully the website will be a GTA heaven with games and interesting info about past GTA's aswell as GTA V.
Number 11, isn't 8-Ball, it's D-Ice. The image is on the poster on the back of the GTA III map where 8-Ball is pictured in his prison-oranges on the same poster. 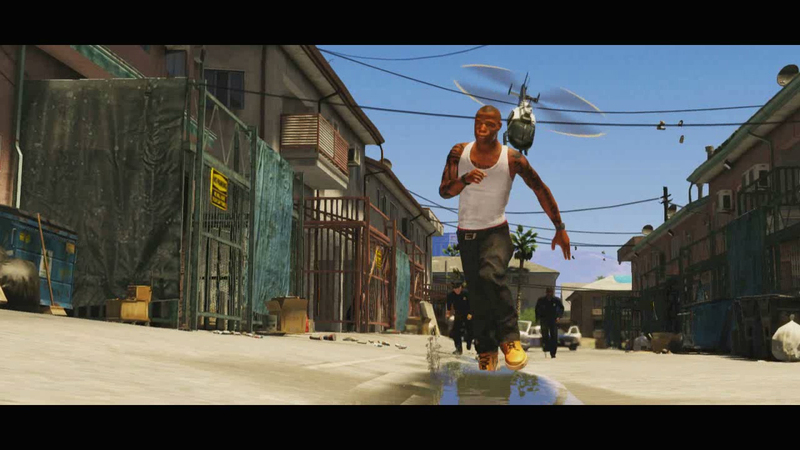 I hope we start to see some new GTA V info in April, if not definitely after the release of Max Payne 3. # 14 on the list is not ''champagne girl''. she was an actual character in TBOGT i just forgot her name but she was the manager in one of tony's clubs. Rockstar North Website Redesign - Rockstar North have updated their website for the first time in a number of years, leading to speculation of new GTA 5 information coming soon.